Pediatric office Murals. Wall painting of Winnie-the-Pooh, Tigger, Heffalump, Piglet, Roo and Eeyore from Winnie the Pooh story. 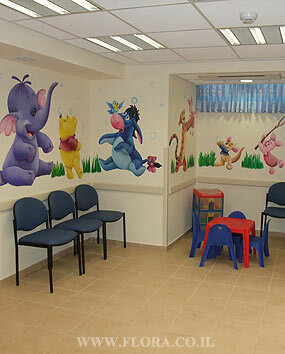 Location: Meuhedet Healthcare Services in Ashdod, Pediatrics waiting room.